Glaucoma is a disease of the optic nerve - the part of the eye that carries the images we see to the brain. When damage to the optic nerve occurs, blind spots develop. These blind spots are small and hard to detect in the beginning but when more optic nerve is damaged, the blind spots will enlarge and result to total blindness. Sadly, a damaged nerve can not be repaired or replaced. Chronic open-angle glaucoma The drainage angle of the eye becomes less efficient as we grow older and the eye pressure can gradually increase. The risk of getting open angle glaucoma increases with age and it can take years to develop. 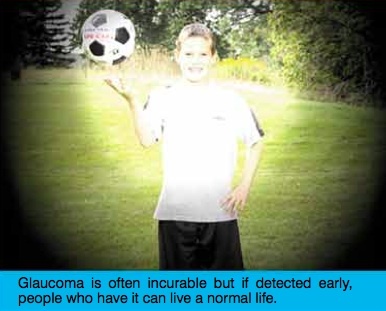 In its early stages, vision remains normal and patients are not aware they have the disease. However, if undetected, the optic nerve may get completely damaged, resulting in blindness. This makes open angle glaucoma particularly dangerous. Closed-angle glaucoma Some eyes are formed with the iris (the colored part of the eye) too close to the drainage angle. The iris can suddenly be sucked into the drainage angle and block it completely. This is called acute angle closure. The pressure inside the eye builds up rapidly causing sudden blurred vision, severe eye pain, headache, rainbow-colored halos around lights, nausea, and vomiting. If these symptoms occur, it is necessary for you to consult an ophthalmologist immediately. Your ophthalmologist considers several sources of information to determine your risk of developing the disease. The most important risk factors include: age, high eye pressure, family history of glaucoma, diabetes, nearsightedness, and high blood pressure. Your ophthalmologist also examines the eye to see if the drainage angle is narrow and in danger of closing. A regular eye examination by an ophthalmologist is the best way to detect glaucoma. Your ophthalmologist will measure pressure within the eye, inspect the drainage angle, evaluate optic nerve damage, and test your peripheral vision. Damage caused by glaucoma cannot be reversed. Lowering the eye pressure is the only proven treatment. Usually eye drops taken daily are enough to lower eye pressure. In some cases, laser surgery can prevent the pressure from increasing. In extreme cases, surgery in the operating room is needed. For this procedure, fine microsurgical instruments are used to create a new drainage channel. Eye doctors who prescribe medicines and operate on the eye are called ophthalmologists. Sub-specialists are eye doctors who undergo further training in specific fields like Retina, Glaucoma, Pediatrics, Refractive Surgery, Plastic and Orbit. The ophthalmologists at the ACES Eye Referral Clinics are experienced sub- specialists who work together as a team. The unique ACES TEAM APPROACH gives patients the benefit and convenience of a second or more expert opinions in one visit. For eye concerns related to Glaucoma, it is best to consult the ACES Glaucoma specialist. Dr. Teodoro Kintanar Gonzales is the region’s first glaucoma specialist, and heads the ACES Glaucoma	Service. He	obtained his	medical	degree	from	the University of the Philippines. After his Ophthalmology residency in PGH, he went on a Glaucoma Fellowship under Dr. Richard Simmons at the Schepens Eye Research Institute of Harvard Medical School in Boston. 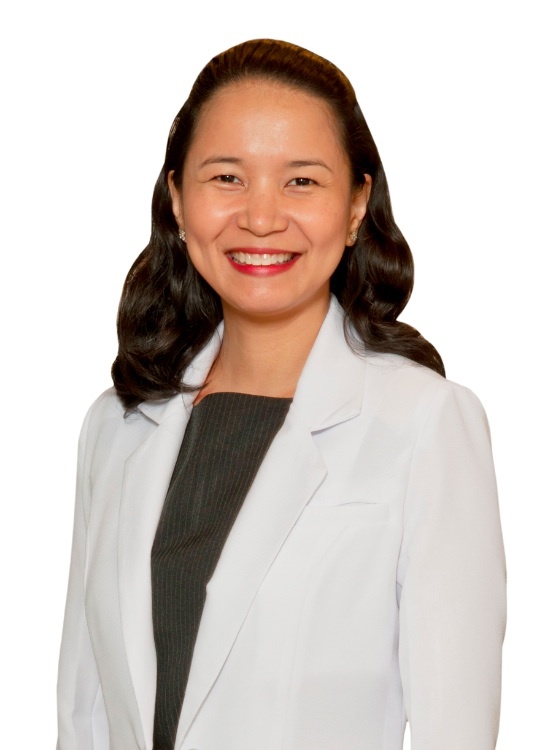 Dr. Pamela Gicaro Tarongoy is a glaucoma specialist and is also a member of the ACES CATARACT SERVICE with particular expertise in patients with both cataract and glaucoma. She was one of only 2 Filipino ophthalmologists for ORBIS International, a non-profit Flying Eye Hospital based in New York. She received a Simmons- Belcher	International	Glaucoma Fellowship after concluding a year- long Glaucoma Training at the Ophthalmic Consultants of Boston.